“This portfolio was created during three visits to Bamako, capital of Mali, between April 2013 and April 2015. Its theme is “The life of Bamako’s street children”, a growing phenomenon in West Africa. During my first visit (from April to June 2013), the first part of the portfolio was created in collaboration with “Sinjiya-ton Mali”, an association working towards the social and employment rehabilitation of street children. With the help of members of the association, I organised photographic workshops to teach the street children how to create photos, drawings and texts that would bear witness to their world and their daily lives. Around ten children, aged between 11 and 16, attended these workshops and took part in the project. Some of them were living in the association’s hostels, and others were in the process of reintegration. The girls involved did not live in the centre. Moussa, one of the association’s teachers, handled the psychological side of working with the children and also translated their statements from “bambara”. He also acted as an intermediary between the children and me. Cameras were given to the ten children, who then came to the centre to take part in a series of technical workshops on traditional photography (visit to a dark room, understanding of light, concepts of viewpoint, views, etc.) and some drawing classes. Moussa and I held individual interviews with each child, involving conversations and free commentaries on their photos and their drawings, which enabled us to create the captions for the booklets. During my second visit (from October 2014 to January 2015), I continued the project with three children who had left the hostels to go back to the streets. At first, they had disappeared, so I went looking for them in the streets of Bamako. Once I had found them, I continued with the workshops and interviews, but now in the places where they were living. 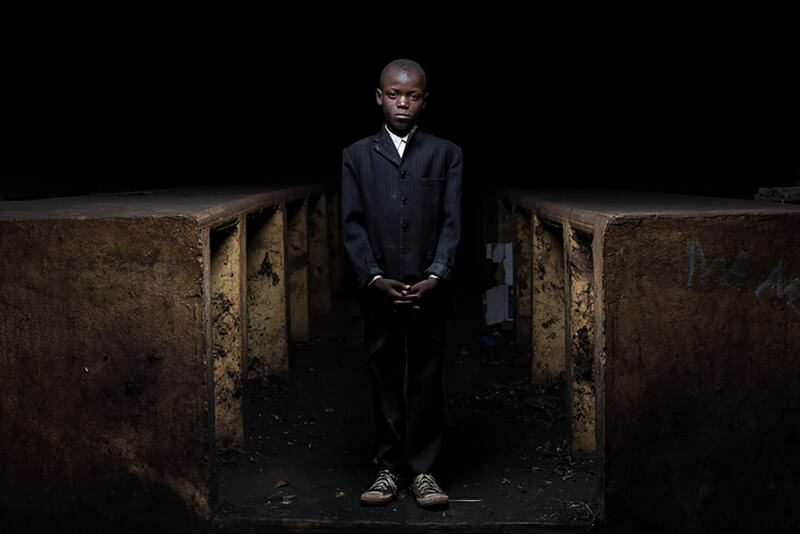 During my third visit (from February to April 2015), I took the nocturnal portraits of street children across Bamako, with the help of the three children I had already worked with during my previous visits. They helped me enormously with this project, as much with suggesting viewpoints as with introducing me to other children. These portraits, a selection of which are exhibited at Contretype, form the ninth and last booklet in the portfolio, which also includes eight booklets of photos and texts created by the children and a lexicon of contextual details of Malian culture and definitions of the words used in the children’s comments. The photos and texts in the booklets were selected by me. I hope I have remained true to what the children want to say. Arnold Grojean won the “Propositions d’artistes 2018” competition organised by Contretype. An exhibition organized and produced by Fait & Cause in partnership with CRP/.